Part of the Ministry’s research infrastructure roadmap, HAL is the multi-disciplinary open archive chosen by the whole French scientific and university community for the dissemination of knowledge. It is both a unique repository and an application, a shared platform for institutional archives, disciplinary repository and electronic theses. A source of published and unpublished scientific documents stemming from scientific and higher education research, Hal was created in 2001 on the arXiv model by the physicist Franck Laloë and offers an array of services to the scientific community.. The HAL portal is a public service offering representing an economic solution for creating and managing an institutional archive. Through HAL’s portal function, any institution (research organisation, university, group of universities, grandes écoles and so on) can manage the scientific output of its researchers and research professors. Created in 2001, TEL (Theses-on-Line) is dedicated to the self-archiving of theses and HDRs (accreditations to supervise research). Like HAL, it is multi-disciplinary and available to any user who has defended his/her thesis, irrespective of his/her university. Theses are highly important documents which must be valued as essential vectors of scientific communication, an expression of research activities in universities and references for young doctors’ careers. Authors can deposit their work in HAL, or directly in TEL. The date and time of the deposit are displayed and the deposit has a unique identifier in the form of tel-00000000 and a persistent url. All authors can use the specific function offered by HAL to create their CV, which will be automatically updated with their subsequent publications if they are also deposited in the archive. A research centre or institutional portal can also raise the profile of theses produced by creating a collection. STAR is a national application, managed by ABES, used by theses defence institutions to deposit defended theses in digital form. STAR acts as an intermediary for institutions that have chosen TEL to disseminate their theses by importing metadata and files into the archive. DART-Europe is a partnership of research libraries and library consortiums working together to improve global access to European theses. As a partner, TEL’s content is harvested by the portal, thus offering the texts international visibility. MédiHAL is an open archive for depositing visual and audio data (fixed images, videos and audio), produced as part of scientific research. 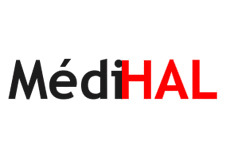 MediHAL was created and launched in 2010 by CCSD, in partnership with the Centre National pour la Numérisation de Sources Visuelles (CN2SV) and with the support of TGE Adonis (now Huma-Num). Each deposit has a unique identifier in the form of medihal-00000000 and a persistent url. HAL-SHS is the specific open archive dedicated to humanities and social sciences. Since 2016, it has held and distributed over 100,000 documents (full-text, images and videos). 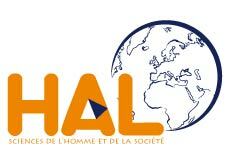 Proposed to the scientific community in January 2005, HAL-SHS was created jointly by CCSD, the Institut des Sciences de l’Homme and the University of Rennes 2, with the support of the CNRS Humanities and Social Sciences department. Held on 18 December 2015, a study day organised jointly by INSHS and CCSD looked back at the 10 years since HAL-SHS has been in use. The objective was also to take a moment to examine the contemporary archiving practices for humanities and social sciences publications. The program, the communications and the videos are available on the conference website.